'This Is My Dole' with Phil Younghusband, Jon Avila, Bianca Valerio and Chef Jeremy Favia - Hello! Welcome to my blog! A fruitful day indeed!!! 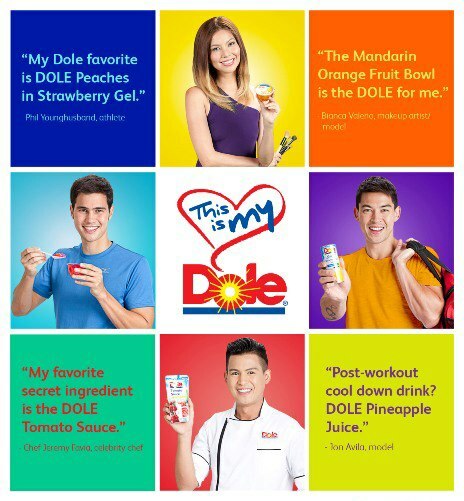 Last Monday April 29, Dole Philippines Launched This Is My Dole and introduced with the Brand’s Newest Faces Phil Younghusband, Jon Avila, Bianca Valerio, and Chef Jeremy Favia. 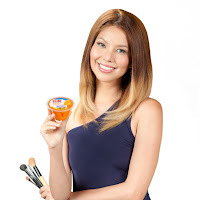 Dole's latest campaign "This Is My Dole" emphasized on nutrition, beauty and health for everyone. Their main message is that for everyone out there, what ever it is you do and what ever lifestyle you are living, there is a Dole product that best satisfies anyone's needs. With that message clear, Dole Philippines introduces its fresh and hot line-up of ambassadors. Jon’s strong arms and washboard abs are enough proof that the sun is not the only thing that sizzles this season.As a wellness addict, this hunk has never had a problem with staying fit as he makes it a point to break a sweat and eat healthy. Fresh-faced chef and gourmand, Jeremy Favia has his own cooking show with a strong following. 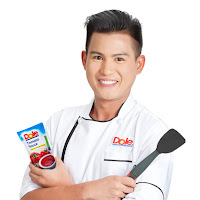 As the newest Dole ambassador, handsome Chef Jeremy will help create and prepare quick and easy healthy recipes perfect for the health-conscious. With her striking good looks and her killer physique, Bianca Valerio is the brand’s all-around glamazon. As one of the country’s most favourite fashion and beauty personalities, she best embodies all the glamorous and fabulous things about living healthy. Most sought-after sportsman Phil Younghusband. Being one of the country’s hottest football players, it is no surprise that Phil Younghusband leads a very active and busy life. With talent not limited to sports, he is also one of the most-sought after endorsers in the industry. Phil is the epitome of strength and vigour, perfect for Dole Philippines’ image. The event, was held at the Mandarin Oriental. They also unveiled the This is My Dole anthem video featuring the different ambassadors doing what they do best while enjoying the Dole products that best suit their active lifestyles. Check out the video below. Stay up-to-date with Dole Philippines by liking Dole PH on Facebook and following @ThisIsMyDole on Twitter and Instagram. 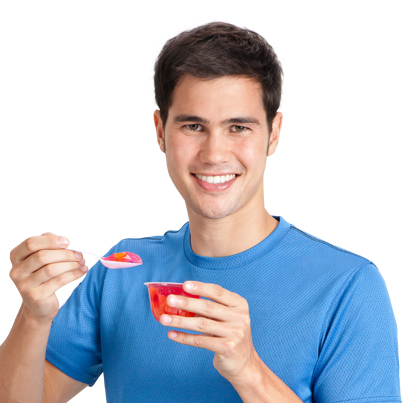 Now that makes me crave those fruits in a cup.Please feel free to send them this way. :) I'd be happy to be one of your ambassadors. :) Hehehe Go DOLE!